Living with a car nut (sorry dear wife!) – HubNut – celebrating the average! The best thing about being me is that I don’t have to be married to me. It can’t be easy and I’m very grateful that my lovely wife of 5-and-a-half years (ooh, hope I’ve got that right!) still considers me a decent bet. I was very honest in describing myself when we first met. I did mention that I quite liked cars. At first, Rachel worried that I might be one of those boy racer types – I had short hair and a trendy appearance (it was only an appearance) at the time. 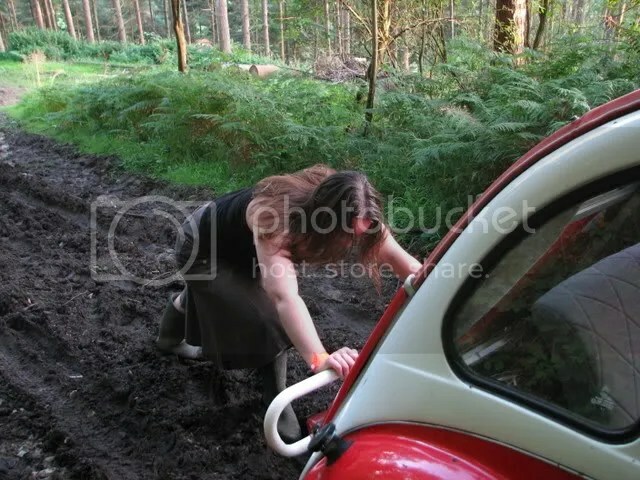 However, she then discovered that my dearest little car was a 2CV, and she thought this was ok. The 2CV was less gracious and spat her doorhandle out when her and Rachel met for the first time. Cars eh? Sadly though, my obsession with cars does not stop with quirky little French peasant wagons. If it’s got wheels, I want to know more about it and, preferably, drive it too. Or maybe own it. A quick tot-up reveals that I’ve bought 32 cars since our relationship began in 2003. That’s 3.8 a year, or one every three-and-a-bit months. While I don’t pretend to be anywhere near as bad as some (I’m nowhere near 100 cars owned in my lifetime yet, but probably well over 50) it’s a few more than most sensible people get through. "Gawd. How am I going to explain this latest wreck?" The thrill of purchasing and experiencing a new car is a massive buzz, whether it’s a few grand’s worth of nearly-new Peugeot (I’m glad those hideously expensive days are gone!) or a couple of hundred quid banger. The problem is, within weeks – or even sometimes days – of buying a car, the thrill has worn off and I’m back on Ebay and http://www.carandclassic.co.uk trying to find the holy grail once more. This can make me a real pain in the arse to live with, especially as I’ll get really excited about stuff that’s entirely unsuitable. Just before Christmas, I was more excited than most Santa-expecting kiddies because I’d decided that I NEEDED to buy a 2cv-based Manx kit car. Well, it seemed a bargain at £400. 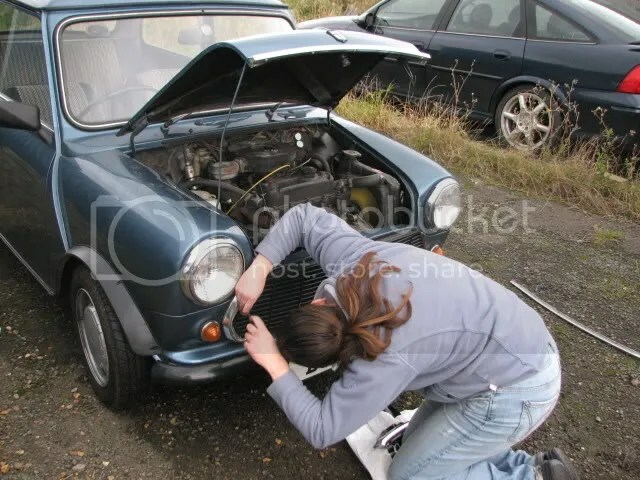 My wife patiently pointed out that buying a non-running car with a knackered wiring loom and, given that we live in Wales, a car that seemed to have neither roof nor doors was perhaps not the best idea. She was right. I went looking for a Vauxhall Frontera instead (mark my words, I will own one soon) which I still can’t afford. 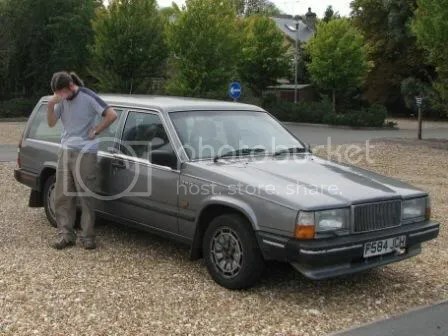 Rachel has also suffered me selling her car (a truly shambolic Citroen AX) on Ebay. I replaced it with a rather lovely Rover 400, but Rachel didn’t like the size. Or the power steering. Or the electrically operated stuff. Or the heavy clutch. But mainly the size (she would be trying to park at a crowded station or even the streets of Oxford at the time). I managed to reclaim some Brownie points by flogging the Rover for a profit and then finding a nice little Mini, which did a rather better job of things and is still on the fleet today. Clearly this all went well as Rachel then married me. Sod a wedding ring. Buy a Mini instead! My wife wonders why she married a car nut... especially one who gets stuck so often! Then there’s silly antics. I have truly lost count of the amount of times I’ve gone off-roading in the 2CV and needed a push from a frankly unamused wife. I’ve learnt my lesson. I now go off-roading in the 2CV on my own as I’d rather face a walk to find a friendly farmer than risk causing more marital strife. It’s all good though. Our mutual love of simple, basic cars has had a profound effect on our lives. We now have a simple, basic life and despite owning 2Cvs since I was 18, I’ve never been closer to being a proper hippy.